At times during an examination the dentist will recommend additional treatment to prevent further decay or to repair a damaged tooth. In these circumstances, the treatment could amount to quite involved procedures over a number of weeks. The cost can also reflect the use of expensive materials, laboratory fees for making dentures or crowns and, as a result, we understand that the costs can mount up. At 1300SMILES, we have introduced our unique 1300SMILES Treatment Plans, whereby in consultation with the dentist, the patient will agree to a course of treatment and will agree with the dentist on a payment plan to spread the cost over an extended period of up to 40 weeks. 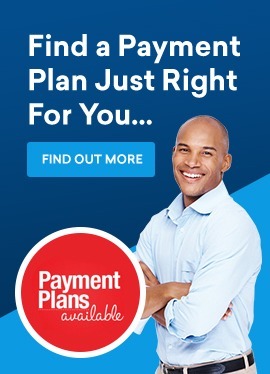 This payment plan attracts zero percent interest! The patient and the dentist agree on a course of treatment. The patient pays a one-off Treatment Plan Membership fee of $38. Membership entitles the patient to a 10% discount* on the agreed Treatment Plan. The patient pays a 20% deposit for the work to be carried out as per the agreed discounted price with the dentist. The member pays no interest for the period of the treatment. If used in conjunction with medical health insurance, you can spread any gap payment between your level of cover and the cost of the treatment. Again, no interest applies to the period of the treatment. *The discount only applies if the member is also a Care Plan Member, otherwise the discount does not apply to patients who only agree to a Treatment Plan. Do you have more questions? Contact us by phone or through Live Chat for additional information.